Love for nature and especially for our beautiful country led us into the travel business a long time ago. 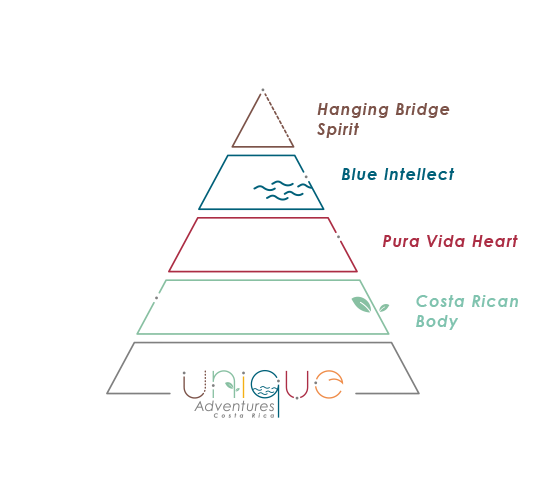 Unique Adventures is a team of professional Costa Ricans with diverse talents, an eye for detail and a desire to share with our visitors a different way to see our country, not only through its wonderful natural resources but also through the kindness and warmth of its people. It´s practicing what we preach: taking actions such as employing energy-efficient equipment, preferring electronic files over paper, and carrying refillable water bottles on our trips. 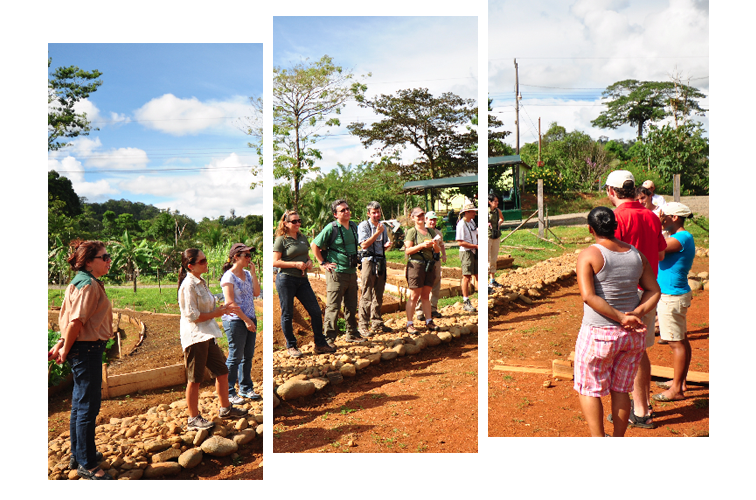 Hanging Bridge Spirit: We build a bridge between you and a new fulfilling experience. Blue intelect: We make sure Nature leaves a footprint on your memory without us leaving one on the environment. Pura Vida Heart: Friendliness is the most abundant natural resource we have. Let us show you the hearf of Costa Rica, one that pumps kindness through every corner. Costa Rican Body: Costa Rica is a great small country. Get the most of your time with us, exploring it like we do.